Goodbye, everyone. I am leaving because I am way too busy to actually post on this blog; I have a very busy life and a lot of things to do. I also have heaps of homework everyday, and I don’t really have time for this anymore… I have, over the years, not even touched my Poptropican account because I don’t really like playing it anymore… You could say I have grown out of it; it’s been this way for along time. 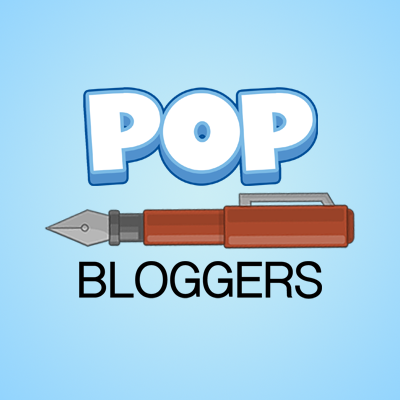 So, I don’t see any point blogging on a website about Poptropica if I am not even interested in it at all anymore. Soo…farewell everyone! It was a fun time! But I don’t think I will ever be playing Poptropica again. So, I’ll leave you with how I discovered Poptropica. It all started in 2008 or 2009, when I was insanely bored and I had nothing to do, even when I was on the internet. And I walked over to my sister to see what she was doing, and she was playing this game where you could jump around and change your outfits and stuff, and she said it was called Poptropica. So, I decided later to make myself an account called jobob269. I don’t know why I called it that but I think I intended it to be “Joe Bob269” or something like that. I started playing it, and I was having lots of fun. One of the first islands I completed was Shark Tooth. Anyway, shortly after the late summer of 2009, I discovered the PHB, and that’s where the blogging really took off. I started commenting, and finally in early 2010, I made myself a WordPress account, and I had an Xat account, too. I met lots of awesome people, like Flamez and SM, and a lot of other people, and I started to comment a few times on posts; it was fun. And then Poptropica Universe came along, which was inspired from TS’s story about Smart Jumper. I thought it would be cool to include all the authors in the story! So, TS and I started writing it (that’s when I really became good friends with TS). After more time, I got released from the blog. Then, I was back at school again and had really quite lost interest in Poptropica and was also too busy with my friends and forgot about it all. And then I came back and wanted to be an author, ad it took a long time, and finally TS got me a spot on SW’s blog again. 😀 Thank you! It was an awesome time! And I may… JUST may…still keep writing PopU, but TS can post it. 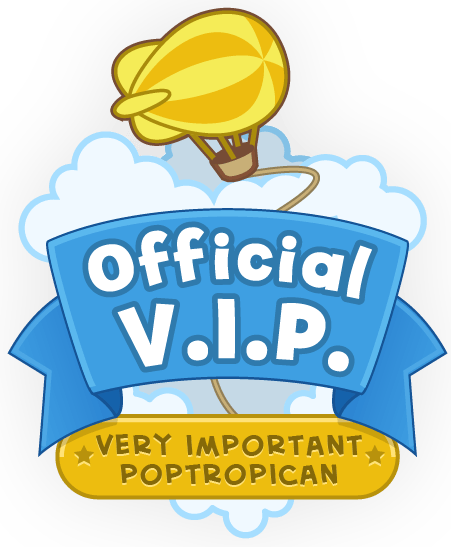 I will also be closing down Poptropica Universe Official because I won’t be using it anymore. And I will be resigning from Tough Icicle’s blog as well. Goodbai everyone, and continue with this awesomesauce blog. And I might be back one day. 😉 Bai bai! Thank you all. You were all awesome people to me! And none of you should feel sad right now for me! I am leaving because I really don’t think I can blog anymore and continue with Poptropica, because I don’t play it anymore at all. ~Fearless Fox Out~ See you at the next milestone! Goodbye! Special thanks to all of you: SW, TS, CS, TI, SC, SD, NU, BS, PD, SS, FO, and EVERYONE!! ← Monster Carnival Now Released! Why are you still in the side bar…? Why aren’t you an author. I already talked to her about it. She removed me. She told me but I don’t even understand why…….. I came back and she removed me…. You could do what I’m doing-waiting and hoping. So how long has that person been here? Cause it’d be creepy if I had been talking to some random kid thinking it was you. They aren’t pretending to be me on WordPress just xat..
Well, with a WordPress account, there should be a little speech bubble in the toolbar when on WordPress blogs. Just click it, and you can see your new notifications! Just reply to specific comments from the notification button, thus having a comment directed above a comment, even if it’s commented after another person. I have a lot of ideas and I hope that I get the job, it would be awesome. My friend told me I had to stop playing Poptropica (impossible words 😡 I can’t believe he said that) and I just told him to shut up. Not gonna happen. On the computer or everything? Cause I normally use my phone. Well, there’s KIND of a notification bar on my phone, but it’s not as…I guess you would say full as my computer. Does anybody else like comics? I like some old comics like Archie and Tintin and Calvin and Hobbes, but I also like some of the new ones, like Big Nate and Non Sequiter. To be honest… I don’t know, maybe she hasn’t deleted me yet. Maybe she just wanted to keep it up a little longer-like, to remember your time as an author or something. Btw when my Gravatar is empty sometimes and regular at others, it’s because I am flooding the blog on two emails. One is nameless undefined which doesn’t have a WordPress account nor Gravatar. The other is my blogging email which does have a WordPress and Gravatar. You can leave yourself ya know xD I’ll remove you later if she hasn’t and if you’re okay with it. Unless I was already removed What? It wasn’t an accident; she was removed for several purposes. Purposes? In which I don’t understand. It’s your blog, do what you want. But if you did this because you were removed from PAw, then that’s not even my fault. If you’re going to fight at all, complain over email please. Oh, you saw that little…um…mishap with SW and SD and NU? Mostly SD, though. Yeah, that was really stupid. Now I understand it, so I’m cool. Hopefully in, like, a year or something. Actually I have seen everything ever commented on the off topical page…. What mishap? We argue sometimes but I don’t remember anything huge. Even so, we’re still friends. And yeah, I agree with Nameless. Thanks, SD! Yeah, I don’t like grudges. They stress me out. No, I know, It was bad at the time though. More embarrassing than bad. Bai, FF. 😦 It was a great experience to have you as an author. Ehh… for me. it’s more like Kill the Lights, by the Birthday Massacre. Kinda sad, but still inspirational. The link isn’t showing on my ipad…? Go to youtube and add /watch?v=aU2aMeb2z24 after the youtube.com part. Ok 😉 sorry I was busy. But anyway when do you want to work on PopU if you have time? Have you wrote a bit of episode 13 I haven’t checked in ages…! You mean 14. We already published 13. 😛 No, I haven’t started on it. C ya. Ok see you 😉 I may be on later I am in bed. 😥 I really hope we keep working on PopU together. Will you be commenting? Do you think you’ll come to PHB author’s nights every now and then? Yeah me too . I will probably come to the author nights so keep an eye out for me and stuff. And I will occasionally comment I guess if I have time.